The phrase, cited by a British journalist during a news programme, has taken the Internet by storm - whether due to swearing on TV or because it largely resonated with the public, worn out by the unknown direction of the Brexit process. BBC's Newsnight political editor Nick Watt said that one of Theresa May's Cabinet ministers commented on the Parliament holding yet another — third — vote on the PM's Brexit deal. Commentators rushed to social media to leave their impressions and views regarding the strong language, quoted by Watt during a mainstream TV programme. her inability to engage in the most basic human interactions'. "What did I say, Roy?" British lawmakers will assemble at Westminster once again, to hold a vote on the Withdrawal Agreement — on the Irish "backstop", divorce bill and citizens' rights — proposed by the government, but not the political declaration on the way the future EU-UK relationship will work. 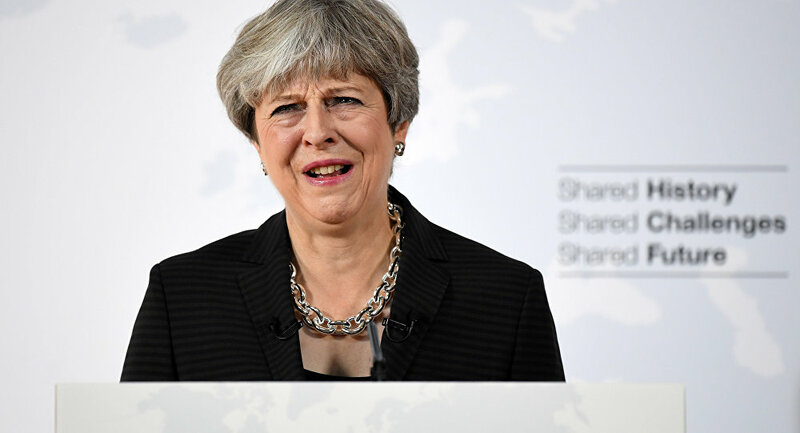 Theresa May has this week said she will resign her post if the deal gets the MPs' support. Ever since the talk of Tory candidates to replace the PM has been rife in political circles and the British press.